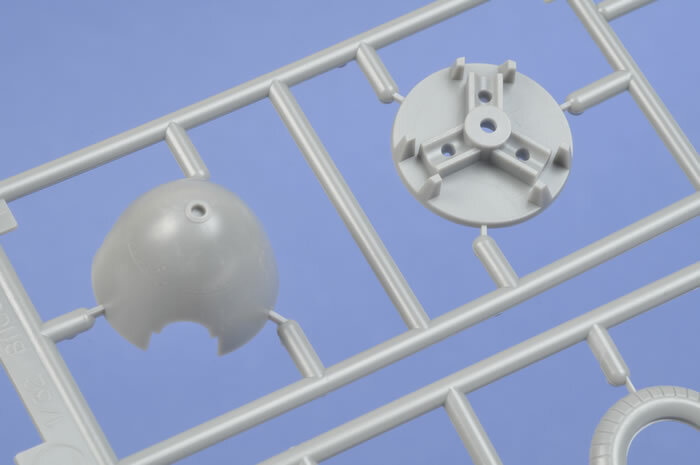 Advantages: Well detailed; beautifully restrained recessed surface detail; accurate outline; straightforward construction; improved spinner shape; plenty of useful options; includes resin figure of Hans-Joachim Marseilles. Middle seam on one seat option; two tricky join lines on cowling that will need to be eliminated. 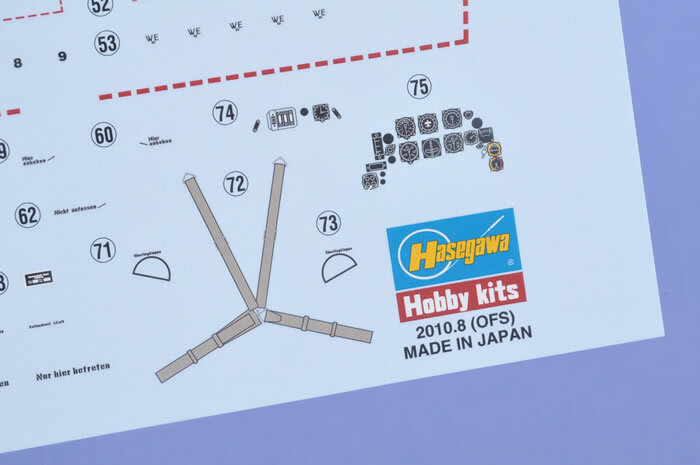 Conclusion: At last, Messerschmitt fans have the Hasegawa 1/32 scale Messerschmitt Bf 109 F - and it has been worth the wait! The Messerschmitt Bf 109 F was a major transformation of the famous Augsburg Eagle. The airframe was streamlined with a newly designed engine cowling, large spinner, rounded wing tips, revised flaps and many mechanical modifications compared to the earlier Bf 109 E.
The Bf 109 F entered service in 1941, at around the same time as the RAF introduced the Spitfire Mk.V. RAF Fighter Command also switched to offensive operations over France and Belgium during this period, creating a new challenge for the Luftwaffe.The new Spitfire was superior to the Bf 109 F in most respects, and it would not be until early 1942 with the general introduction of the Focke-Wulf Fw 190 that a Luftwaffe fighter aircraft would gain a temporary upper hand. Despite this see-sawing combat on the Channel Front, the Messerschmitt Bf 109 F achieved stunning success over the grassy steppes and frozen tundras of Russia, and the desert of North Africa during 1941 and 1942. Due to the extreme heat and sand of North Africa, a specialised tropical version of the Bf 109 F-4 was developed. This was most easily identified by a long filter attachment on front of the wider-diameter supercharger intake; and a deeper oil cooler and housing under the nose. 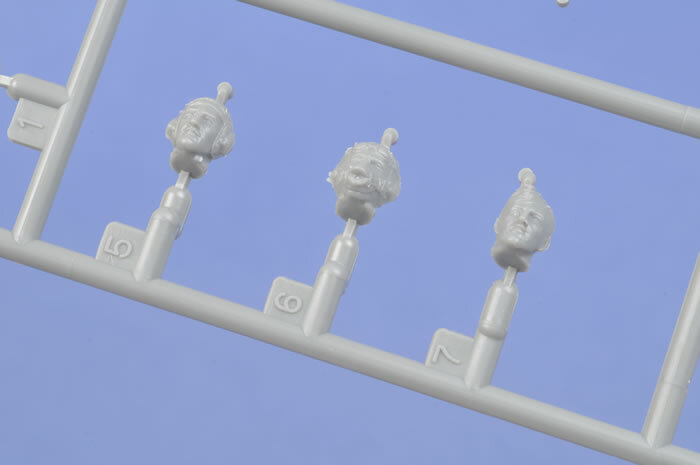 Moulding quality is excellent. 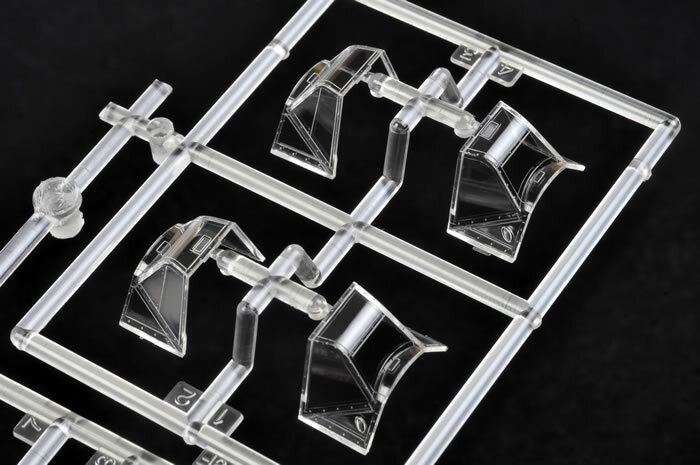 The shiny plastic features crisply recessed panel lines and selective rows of rivets and fasteners. The parts provided by Hasegawa, specifically the deep oil cooler housing under the nose and the large diameter supercharger intake, mean that this kit may only be built as an F-4/Trop or an F-4/Z. 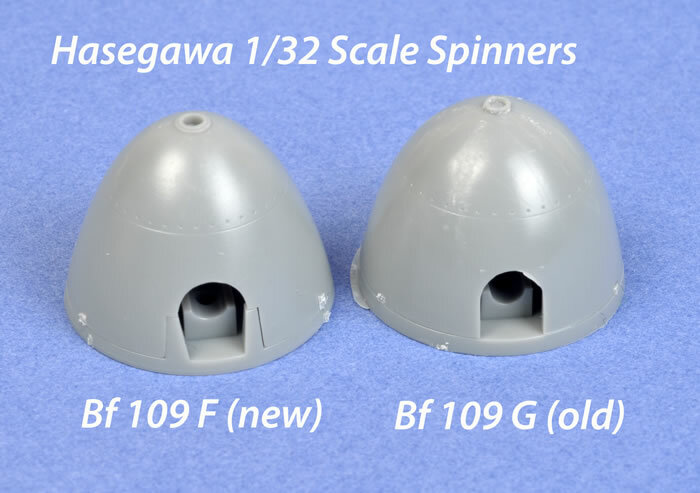 We will undoubtedly see the earlier versions of the Bf 109 F released by Hasegawa in the future. 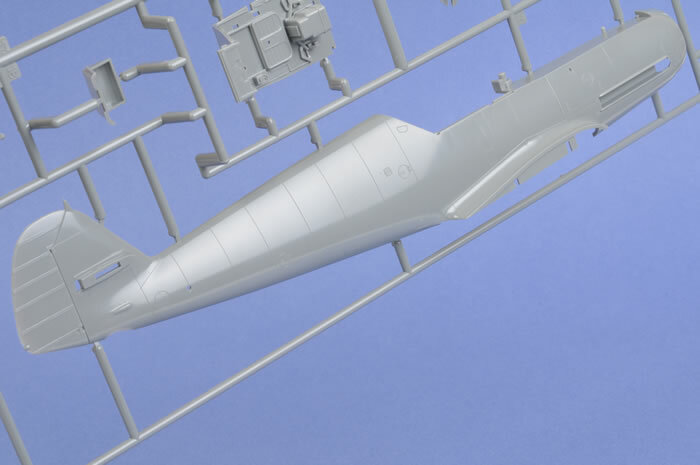 The fuselage is a new tooling. 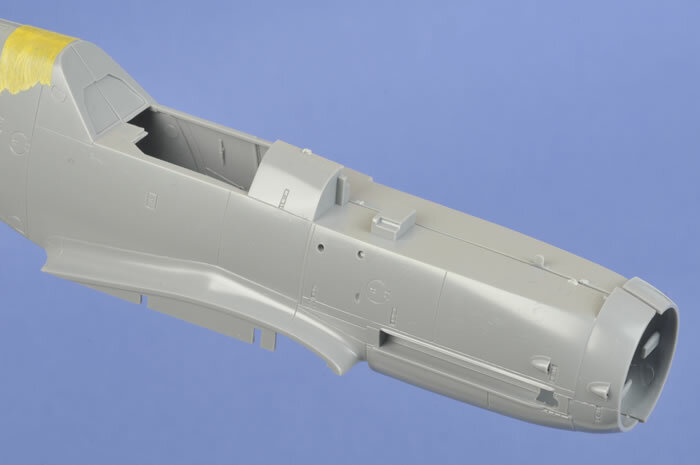 Whereas the fuselage halves of Hasegawa's earlier Bf 109 G-4/5/6/10/14 kits were split to permit either an early or a late tall tail, this Bf 109 F fuselage is full length. 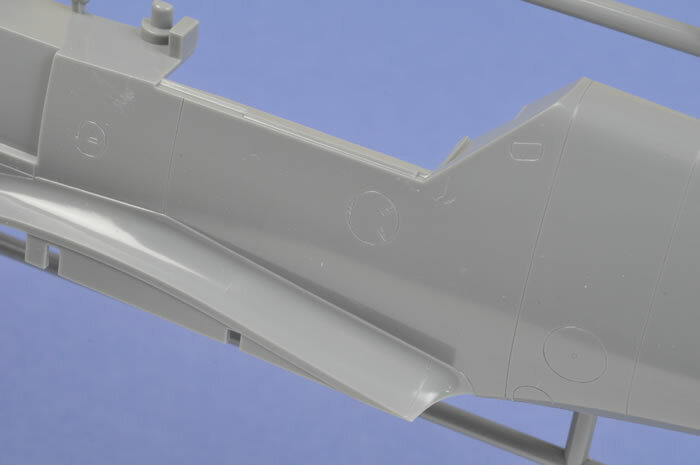 Even better news is that the unique hatches and filler positions for the Bf 109 F are moulded onto the fuselage. 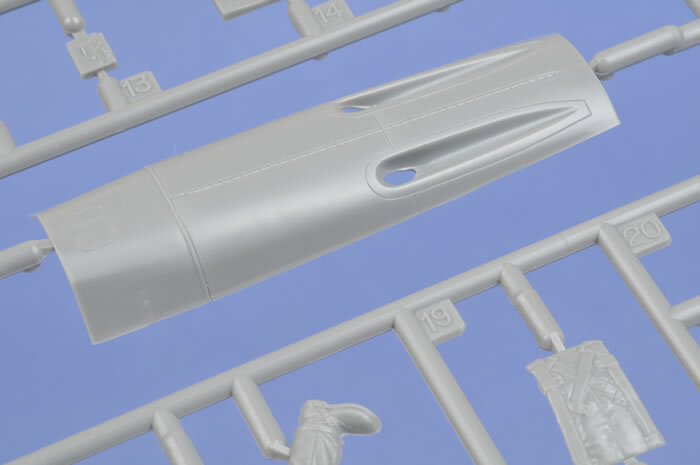 Unlike the G kits, you won't have to be filling and scribing on this fuselage. The engineering of the nose is slightly different on this kit too. Like the G kits, a separate panel is provided for the gun cowl and upper nose deck. In this case, however, the single top front deck part stretches all the way back to the windscreen. The benefit of this breakdown is that the subtle recessed piano hinge along the centreline of the cowl will be a clean line without a join. The wrinkle in this method is that there are two joining seams on either side of the panel that will need to be filled and sanded back to the rear of the engine cowling, as there were no panel lines in these positions. Another separate panel is provided for the port side engine cowling. This separate part will permit Hasegawa to fit different-sized supercharger intakes. In this case, the panel is sized only for the large intake for the Trop and F-4/Z versions. This time around, Hasegawa has provided individual exhaust stacks that are hollowed out at the end. The raised seams down the middle of each exhaust represent weld marks, so don't sand these off. Gun barrels are all hollowed out at the end for this release too. 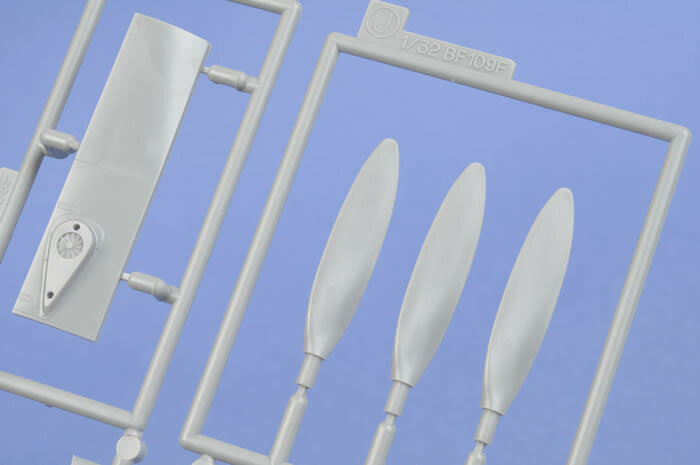 The spinner and propeller blades are all new. The shape of the spinner in the earlier G releases was not quite right, being slightly too bulbous. The shape of this new spinner looks very good. Furthermore, the openings for the propeller blades are now the correct shape too, with the sides sloping slightly inwards (although perhaps slightly too squared off at the transition from the arched top). The price for this tricky shape is a join line either side of the propeller blade openings on the spinner, so a little care in alignment (and perhaps some Mr Surfacer and sanding) will be required. Most of the cockpit is new. 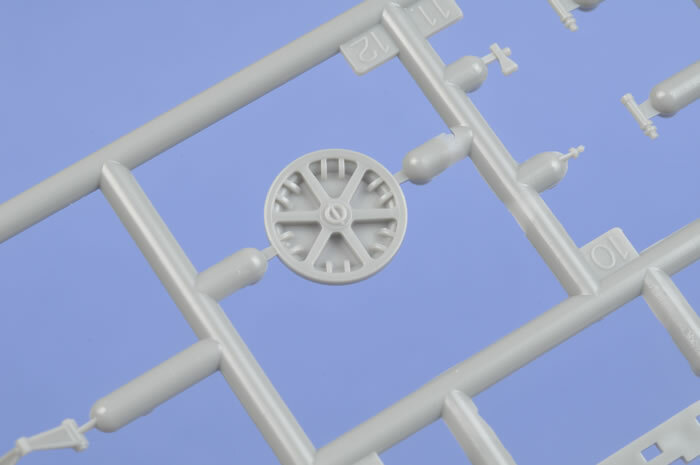 The new floor includes a revised breech cover for the MG 121/20. The early F seat, similar to (but not the same as) the Bf 109 E seat, is a two-part assembly split right down the middle. The resulting join seam will be next to impossible to eliminate. Presumably, the race is already on in the aftermarket world to provide a resin replacement. 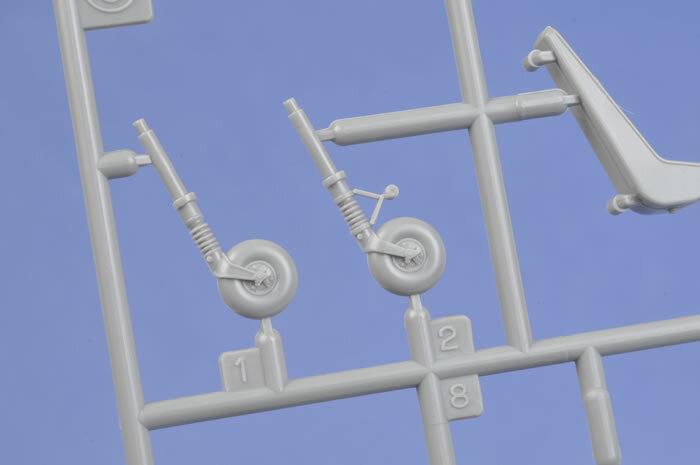 An alternate later-style seat with the tub base and armoured backrest is also on the sprues, but not called out for use in this kit. 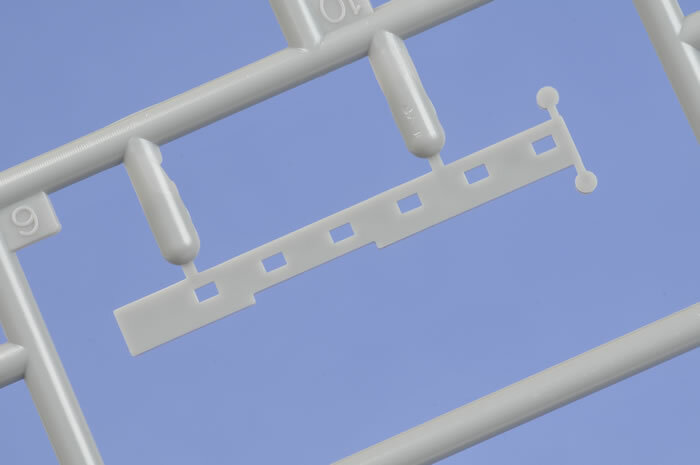 Decal harness straps are included, as are optional decal dials for the raised detail on the plastic instrument panel. A seated pilot offers the option of three heads and a separate oxygen hose. 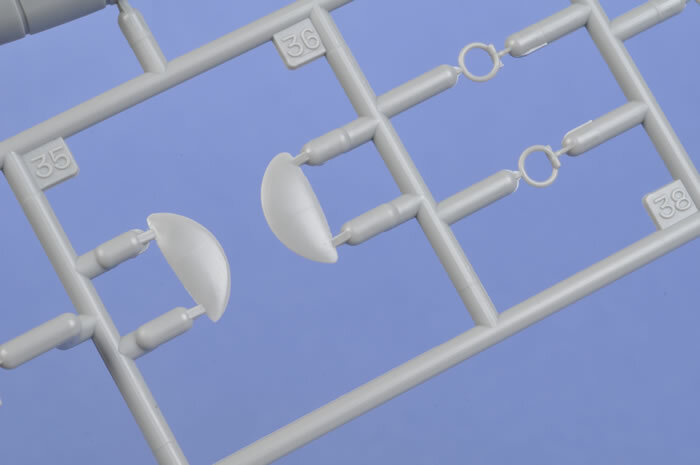 Cockpit sidewall fittings are revised in this kit, including a relocated mount for the trim wheels and the uniquely F-style starboard sidewall arrangement. At the rear of the fuselage, the elongated keyhole-shaped tail wheel bay is correctly open. 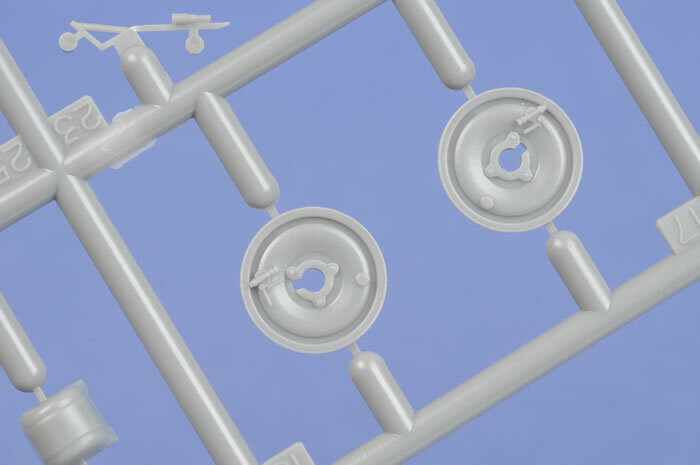 Two styles of tail wheel strut are included - one with an oleo scissor moulded in place and one without. 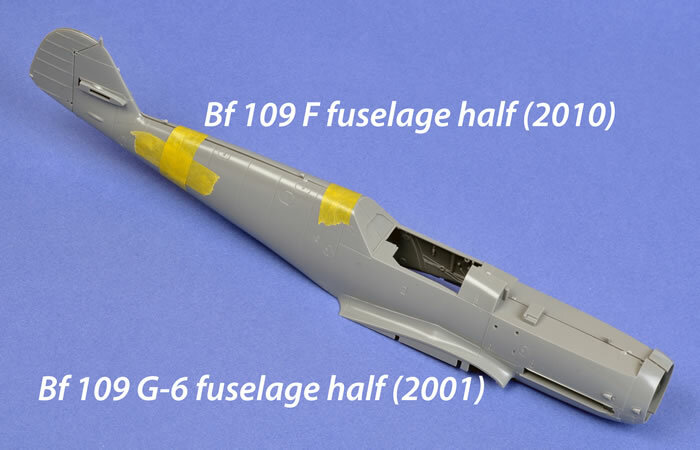 The fuselage spine cross-section profile of the original 1/32 scale Hasegawa Bf 109 G-6 featured an accurately smooth curve, but later releases of the K-4 and G-10 were inexplicably (and incorrectly) different, being noticeably flattened at the top. I am relieved and delighted to report that the spine is the correct curved profile in this release. 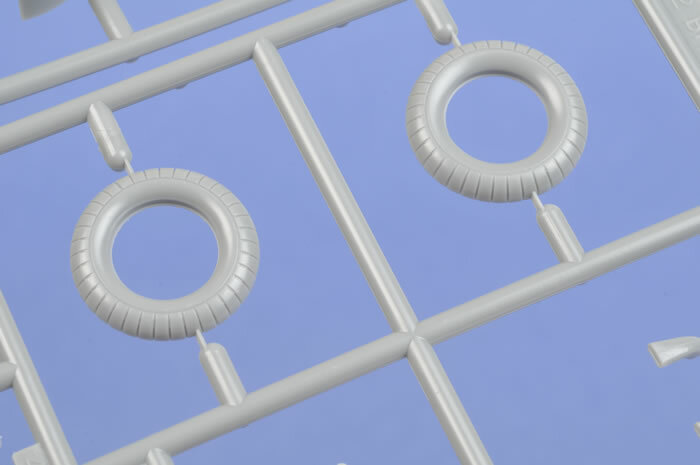 The separate insulator for the antenna wire intake on the spine is a nice detail touch too. A whisker-like extension of plastic is attached to the top of the fin antenna post. I do not think this is flash, but rather the attachment point for the aerial wire. Take care not to damage this during handling. Hasegawa offers sef-adhesive metallic strips if your subject was one of those aircraft with the reinforcement strips on the fuselage below the empennage. Check your references before applying these. 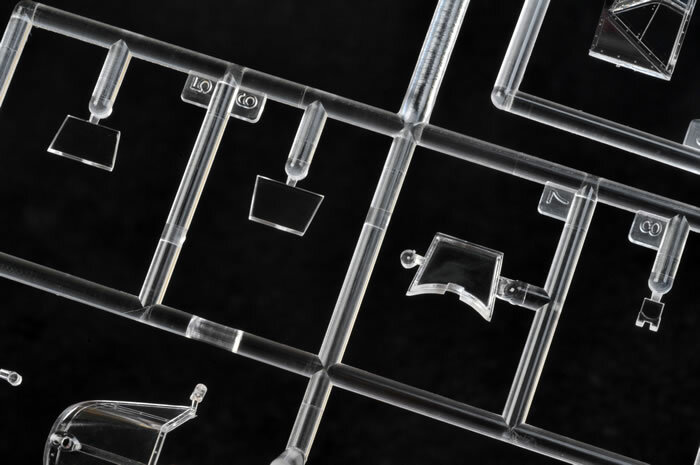 Four styles of windscreen are supplied, including options for separate internal and external armoured glass. A flare pistol is provided for the options with the plated-over front quarter window. 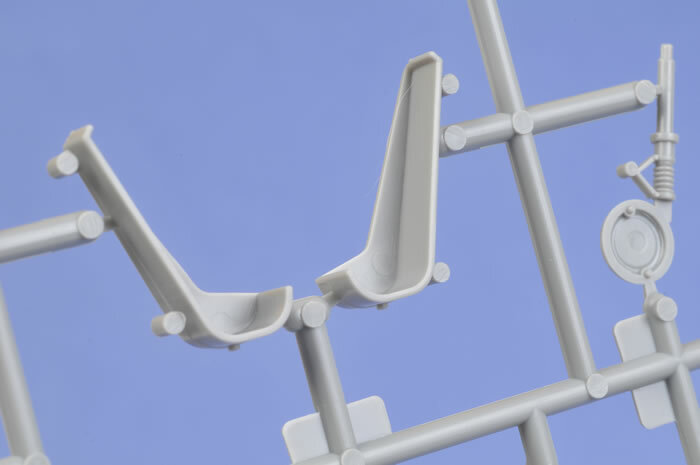 The pilot's handholds in the corners of the windscreen are finely moulded plastic parts. 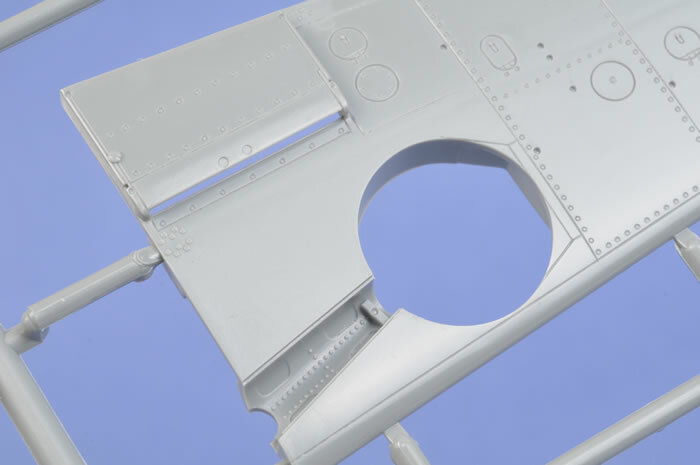 The centre section of the canopy is correct for the Bf 109 F. Please note that the two vertical lines in the centre of the canopy sides and top represent overlapping clear plexiglas panels - don't paint these as panel lines! Early head armour without the curved top is included. The wing is identical to the earlier G releases. The lower wing is moulded with the correctly (for the F-4) rounded wheel well opening. The only different wing fittings are a new style of upper radiator flap and a blanking insert for the redundant landing light. 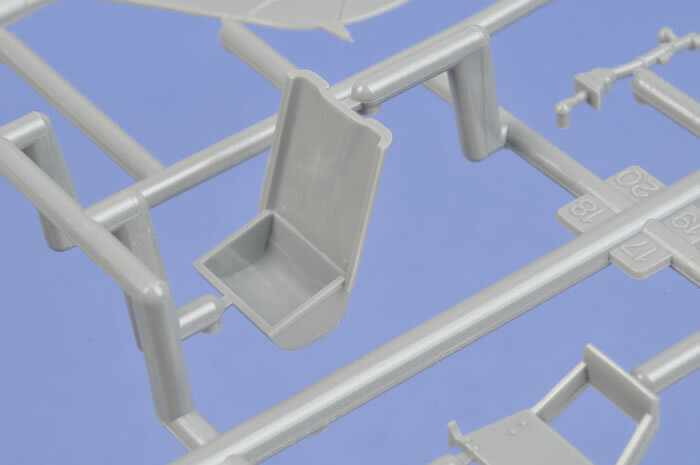 Another nice detail is the inclusion of inserts to plug the recesses for the G-6/14 wing bulge inside the wheel well. New narrow main wheels are supplied. These are broken down into four parts each. The hub looks nice and deep. Separate oleo scissors and tie-down rings are also offered. 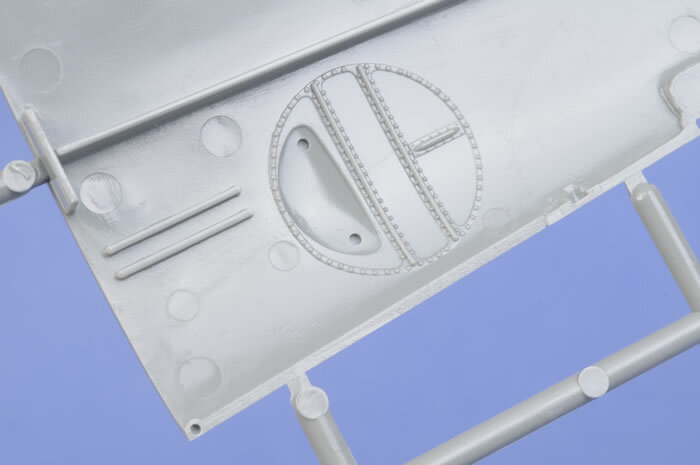 Four marking options are provided - all for different aircraft of Hans-Joachim Marseilles. Decals are in good register and are well printed. A nicely cast standing resin figure of Marseilles was supplied in my early kit. I understand that this is a limited edition inclusion. 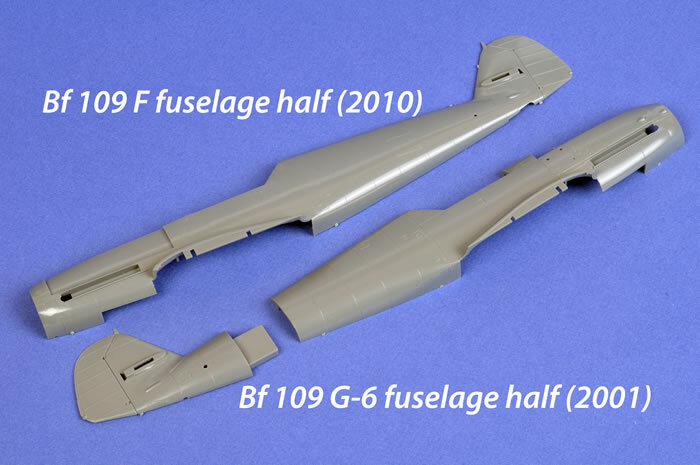 I do not have the Tom Seay Bf 109 drawings handy (I gave away the last copy of my "Augsburg Last Eagles" book), so instead I compared the fuselage halves from the 2001 Bf 109 G-6 release with this new Bf 109 F-4/Trop. The fuselage halves were taped together for comparison. As may be seen, the panels and dimensions line up almost exactly at the rear fuselage. Forward of the cockpit, the Bf 109 F-4/Trop appears to be around 1mm longer than the G-6 nose. 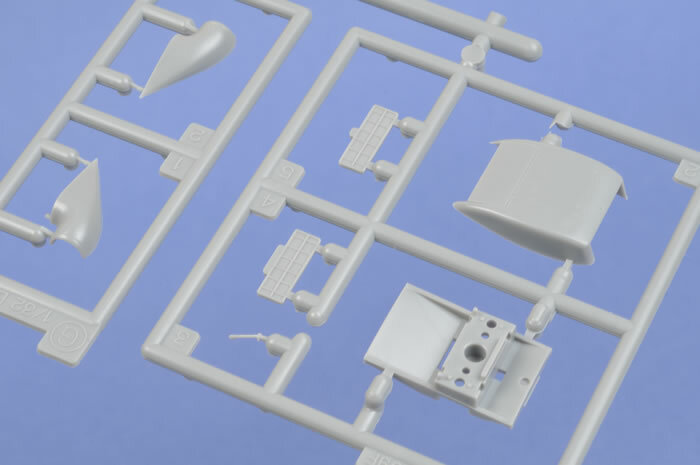 I will provide some more meaningful comparisons when I can get hold of reliable 1/32 scale drawings. I understand that not everybody is interested in the Augsburg Eagle, but those of us who are have been waiting a long time for an authentic 1/32 scale Messerschmitt Bf 109 F straight from the box. Back in 2001, Hasegawa's Bf 109 G-6 revitalised 1/32 scale and shifted the perspective of many modellers. There was nothing truly groundbreaking about this kit, but it did everything very well. It was accurate, affordable and, perhaps most important of all, eminently buildable. The kit was nicely detailed straight from the box, but also represented a perfect platform for after-market accessorising. It was the sort of model that you could build five or six times in different versions and markings, and many modellers did just that. The family expanded until the middle of the decade with the Bf 109 G-4, G-14, G-10 and K-4. 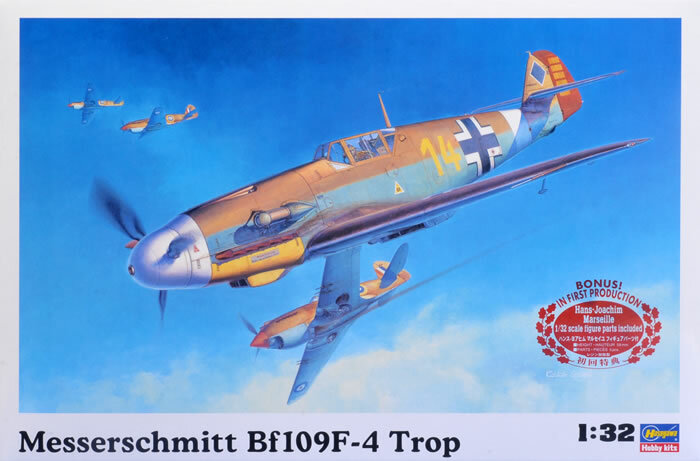 Hasegawa has finally delivered the vital missing link with their 1/32 scale Bf 109 F-4/Trop. They have not taken short cuts with this model, moulding an all-new fuselage, correcting the poor spinner from the earlier versions, and providing all the unique interior and exterior attributes of this graceful aircraft. 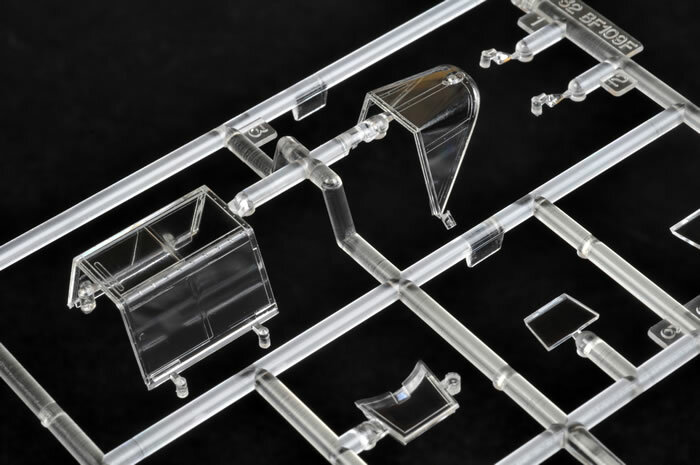 By Hasegawa's standards, the model is fairly restrained in the use of inserts. 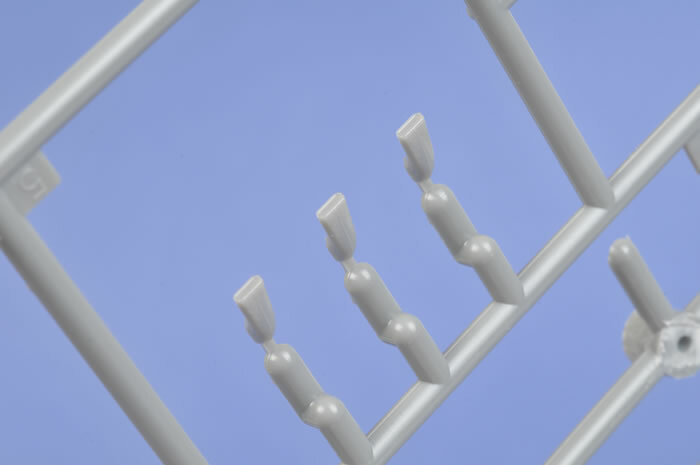 The join line left by the upper cowl insert is not ideal, but it is probably better than the alternative of joining along the intricately engraved centreline piano hinge. To summarise simply, in my opinion, this is a great kit.